eBiz.com Pvt. Ltd. or eBizel India is Education / Business based organisation. The company offers Ebiz education packages and holiday accommodation service. The products and services of Ebiz also help in It literacy among people. The company is also providing Ebiz business plans which belong to network marketing concept. It allows people to earn money through referring others to join the same concept.. This is the biggest reason too behind the negativity of eBiz. There are so many articles and write ups can be found on Google by searching Ebiz fraud, ebiz scam, ebiz fake etc. 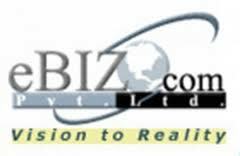 But to clear your doubts regarding the concept we suggest you to follow the below mentioned contact details of Ebiz.com Pvt. Ltd. Few famous names of the company are Pawan Malhan (Onwer and Founder), Varun Sachdeva, Sandeep Kedia, Mani Arora, Rajesh Manghnani etc. If you are thinking about how to contact Ebiz head office. Then let us tell you its so easy. You can go through with the contact information of Noida (Delhi & NCR) based office of Ebiz company. For that you can follow the below mentioned address, phone numbers, fax number and email ID with reference of official website of company. The official website can be used for account login for the existing clients and associates. The email is available of support related to general queries. To complaints against product and services of Ebiz company. You can use the official complaint form available on the website. Get the answers of your common questions which are related to Ebiz company, product, services etc. from the frequently asked questions page. Learn and Grow, it is the tag line of company. You can check all the education package related details. Such as Ebiz students login, products visualisation etc. on this link. Check the blood donation camp related details of Ebiz company from this website. My name is ashfaque I had cancelled my ebiz package within 30 days but there is no confirmation of cancellation and refund only ticket number I have got and No one is attending phone so kindly refund as soon as possible. But still I can’t get my refund till now.so plzz give me my money. So I have a request for you that you should tell the status of my refund and please refund my money as soon as possible. But still I can’t get my refund till now. I am Yogeshwar B Wandhare I have cancelled my advance ebiz educational package.so when I will get refund money back and what is my Status about refuy money.when I will get my money. I have cancelled my product on oct 05 2016 n another on oct 22 2016, bt i didnt get my refund amount . Its working days 3 months bt almost takes 4 months so please help sir , give me a positive response. I hav cancelled my package, its more than 3 month. Didnt received the refund money yet. I had cancelled my ebiz account with in 1 month,but still I didn’t get any information from ebiz company,please refund my money as earlier asa possible. ravji jethu chwal near sundaram bldg . I have waited for 3 months and I have not received any kind of info about my refund amount and if you still don’t reply me I am going to take help from thane commissioner I have all the documents. If your company returns me my money back within 10 days I am going to fill a fraud company case from Mumbai thane. please back too my money…. Sir I had cancelled my registration before 3 months 14 days ago. I also went at the ebizal house to return the money but they said that money will be refunded within 3 months but 3 months are over ,till now I didn’t get anything. Sir please refund me as soon as possible, and please give further details about refunding .My contact no is 9729788338. I will be highly thankful to u for this act of kindness. Sub. :- Requesting for Refund check. My Self Ms. DEEPALI SAWANT s/o. KRISHNA SAWANT.I’M Registered in your company 12/01/2016. My Distributer ID. 61389394 and after 4 days I am cancelled my registration . So I want refund my DD(D. Draft). Because I don’t wants to attends the lecture due to my First Years Classes. I’m Mr. TRIPANKAR DEY s/o. RATAN KANTI DEY.I’M Registared in your company 22/01/2015. My Distributer ID. 61304296 and after 20 days I am cancelled my registration . So I want refund my DD(D. Draft). Because before when your company send my deaft it can not come my present address. I kindly requesting you please send my draft in my present address again . I hav posted for refund past 4days no response from company. .. Losing hopes help me….